HOUSTON (WABC) -- When an ace pitcher is on his game, it's not a good night for the opponent. On Friday night in Houston, it was the Yankees on the receiving end of an ace pitcher in Justin Verlander. Verlander made his pitches and had meticulous command of his location. For the Yankees to win this series, they're going to need timely hitting and strong pitching. That's obvious, but something they executed in previous games was a little "small ball". Sacrifices, bunts, walks, and the little things to put runs across the plate. The monster shots this lineup can launch can be deceiving, and in the post-season they don't come as frequently as they have all season long. The Yankees lead the regular season with 241 long balls, but you cannot rely on them come post season time. In Game 6 the Yankees were chasing pitches, trying to force things to happen. Aaron Judge put the only run on the board for the Yankees, and offensively that was the only bright spot. The entire team left eight runners on base and were 0-6 with runners in scoring position. Not quite the combination needed for success. 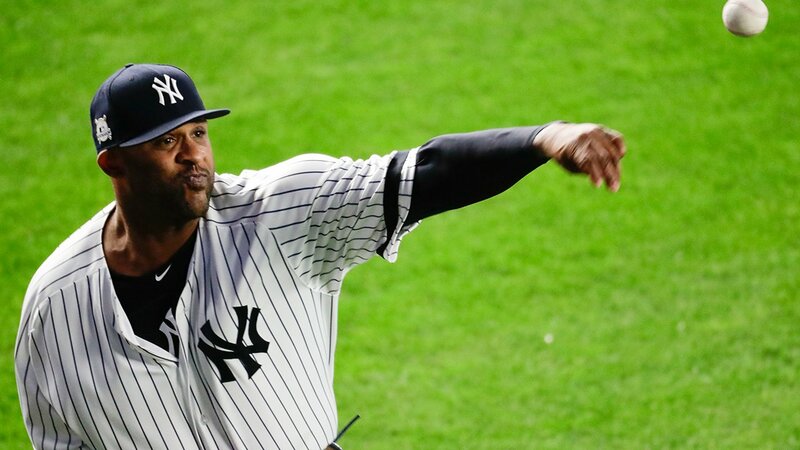 The key to winning Game 7 lies in the left hand of CC Sabathia. He's slated to be the Game 7 starter, and has been known as the team "stopper". Sabathia is a dominant 10-0, possessing a 1.69 ERA in games after a Yankee loss. CC lead his team to victory in Game 3, going six solid shut-out innings. Offensively the Yankees got it done with six RBI's, all with two outs. They chipped away with hits, and were the benefactor of a wild pitch in that 5-run 4th inning capped off by a Judge home run. The Yankees waited for Houston to make errors in that game, and had the runners in place to capitalize. Putting that pressure on Houston with lights out pitching -- that's the recipe for a Game 7 victory. There is no other pitcher that can propel the Yankees into the World Series other than Sabathia. He's a veteran who will not be overwhelmed by the situation or the Astros home crowd. The Astros will counter with Charlie Morton, a right hander who was the starter in Game 3. Both teams will have the "all hands on deck" approach to this contest. Look for the leadership of this Yankee team to step up and follow the lead that their starting pitching gives them. The Yankees will put Game 6 behind them and move on to closing it out, in whats sure to be an exciting must win Game 7. This is what you play for. The Yankees look to capture their 41st American League Pennant, and a trip to the 2017 World Series Saturday night.